This is the perfect novelty package for all pre-school children - it is bright, vibrant, sturdy and will provide hours of play before being stored safely away in its own carry case - making it perfect portable fun for journeys, play-dates and home-time too. Created by a highly-acclaimed paper-engineer, this robust and ingenious package comprises a six pop-up storybook, which then unfolds and transforms into a 3D forest landscape play-mat with cut-out cardboard dragons, horses and a pop-up banquet for plenty of fun! 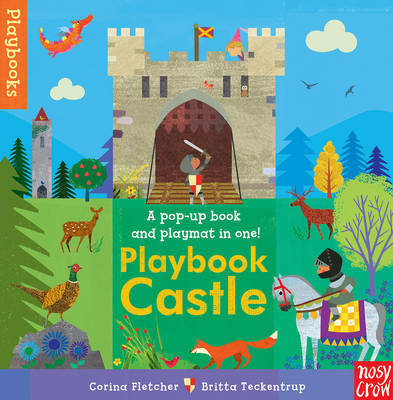 Share this bright and colourful pop-up book with your little ones, then unfold it to transform it into a sturdy medieval world 3D play-mat, with stand-up card knights, princesses and animals for jousting joy!